Check out Tobi's Picnic Check Blazer Dress up or go casual with the Picnic Check Blazer by The Fifth Label! This features a boxy fit and medium weight check suiting. Details include a two button closure, functional welt pockets, and a fully lined interior. Pair with the Picnic Check Skirt to complete the look! 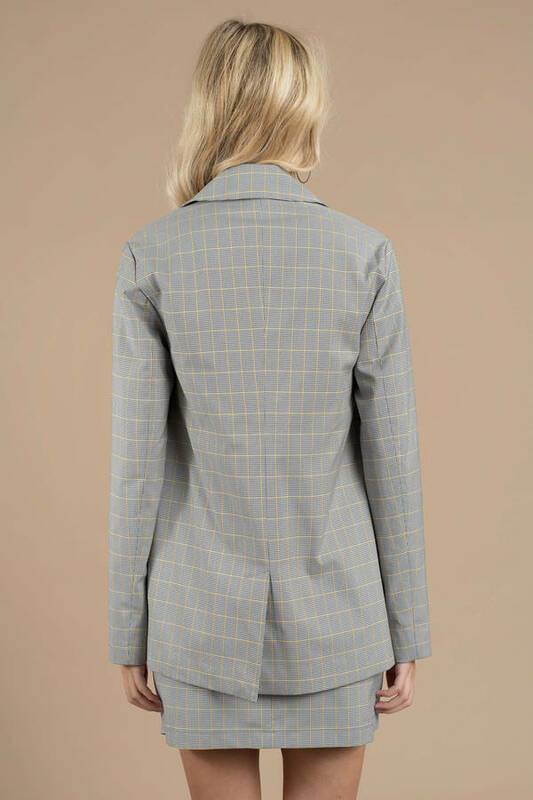 Dress up or go casual with the Picnic Check Blazer by The Fifth Label! This features a boxy fit and medium weight check suiting. Details include a two button closure, functional welt pockets, and a fully lined interior. Pair with the Picnic Check Skirt to complete the look!